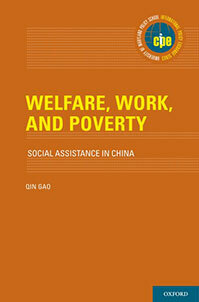 Welfare, Work, and Poverty provides the first systematic and comprehensive evaluation of the impacts and effectiveness of China’s primary social assistance program — Minimum Livelihood Guarantee, or Dibao — since its inception in 1993. Dibao serves the dual function of providing a basic safety net for the poor and maintaining social and political stability. Despite currently being the world’s largest welfare program in terms of population coverage, evidence on Dibao’s performance has been lacking. Professor Gao’s book offers important new empirical evidence and draws policy lessons that are timely and useful for both China and beyond.